Congratulations to Sienna, Luke, Elizabeth, Corinna and Anna. 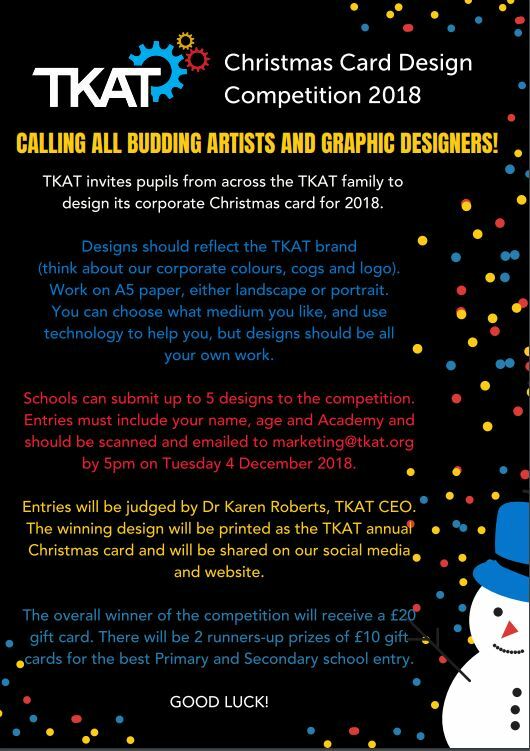 Their Christmas card designs have been selected to represent CHS at the TKAT Christmas Card Design Competition. Thank you to everyone who entered - we had lots to choose from! Chichester High School are part of TKAT (The Kemnal Academies Trust).